The Boss Baby ‘movie has the hilarious story will tell you about a family in which a baby was coming into their lives. The film will portray from the viewpoint of a boy named Tim, he is 7-year-old, and he had a pleasant life because whatever he wanted always granted by the parents. Everything changes for him when their parents give much attention to the baby. Tim has a vigorous imagination, in his eyes, the baby arrives in a business suit, tricks his parents around and has dubious intentions. The only child in the family is Tim jealous with the attention paid by parents to the baby. Tim watches in confusion as his little brother tricks his parents into believing that he’s the delightful new addition to the family, while quietly plans a coup against the pet company that their parents work. It acts normal when they are around, but behind them, it turns out that the baby that can talk. Already imagine how exciting this film The Boss Baby. Tim comes to know that baby is a spy sent to Earth to watch his parents because their parents work at the Puppy Co, who creates pets and is about to reveal their latest product. Their product threatens to reassign love from babies to puppies further. Baby boss’s job is to collect intel on Puppy Co.’s latest creation and report back to head office. Tim and baby reluctantly join forces to complete the task so that Tim can restore as the sole heir of their parent’s love. In the end, Tim overcomes his sibling rivalry and welcomes the thought of having a little brother. The Baby Boss movie is starring Alec Baldwin, Steve Buscemi, Jimmy Kimmel and Lisa Kudrow. DreamWorks Animation production house and work with 20th Century Fox as a distributor. The film was Released on March 31, 2017. 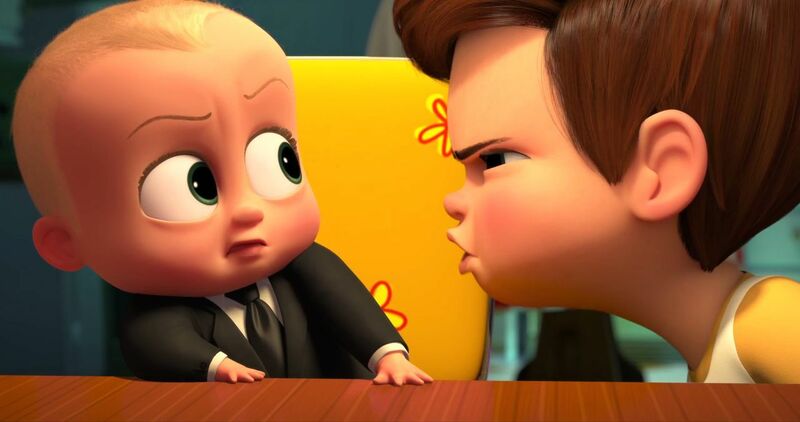 In the end, The Boss Baby is animated movie, but it’s supported by a unique visual flair and valuable lessons for kids in the audience. It is a one-time watchable film.